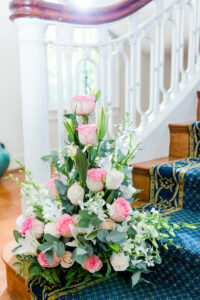 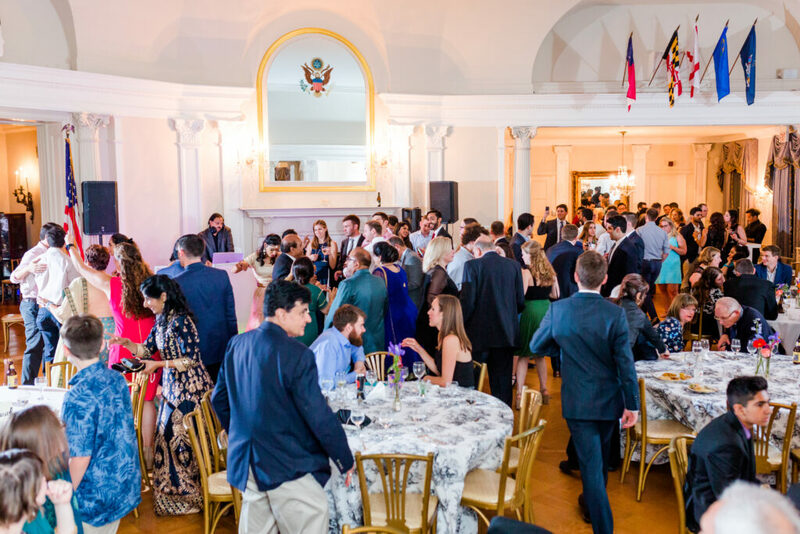 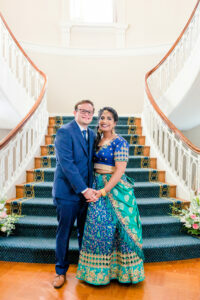 A Double Engagement Celebration at The Congressional Club! 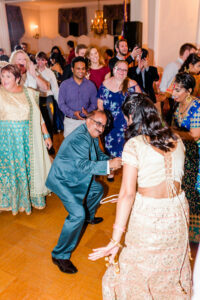 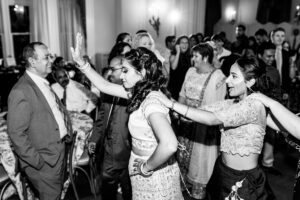 The Soni Family had much to celebrate in 2018; not one, but two sisters were engaged to be married and their family wanted to kick off the blessed unions with an Indian Engagement Ceremony party for both couples. 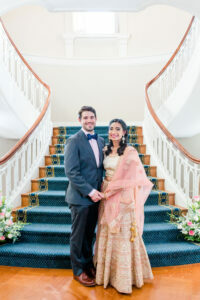 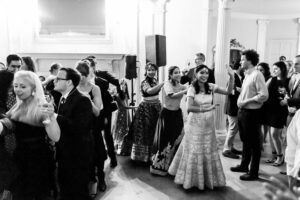 They looked for a venue rich in American history and imbued with a warm and elegant ambience to provide the backdrop for their Hindu Indian Engagement Ceremony. 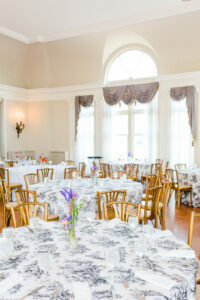 The Congressional Club was the perfect choice! 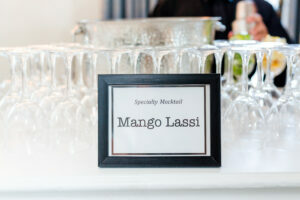 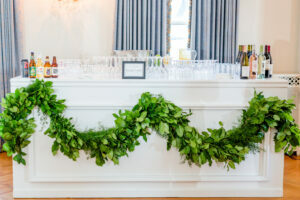 The evening began on the Club’s first floor, where guests enjoyed welcoming beverages and passed hors d’oeuvres. 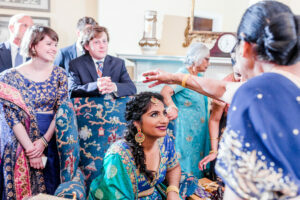 The First Ladies Portrait Room was the ideal setting for the traditional ring exchange. 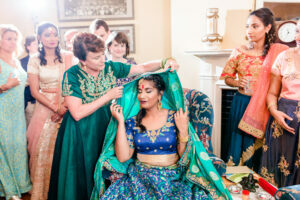 Hindu culture emphasizes the importance of pre-wedding ceremonies in which the bride’s and groom’s families are brought together to unite with each other and to celebrate the exchange of rings. 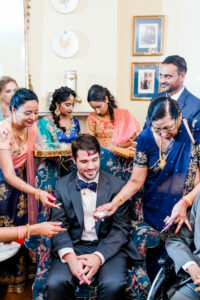 The rituals included the Tilak ceremony, where tilak (a paste made of vermillion/sandalwood and rice grains) is applied to the foreheads of the boy and the girl (actually, in this case, two doctors and two lawyers). 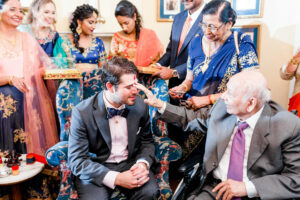 After the Tilak ceremony, the grandparents bless the happy couples, followed by the exchange of gifts between both families. 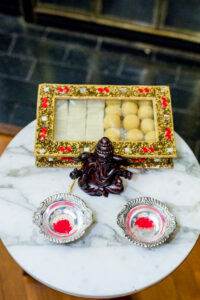 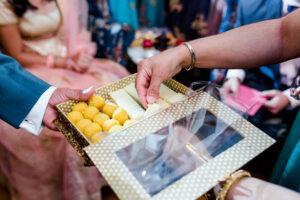 Wedding favor gifts often include favorite sweets. 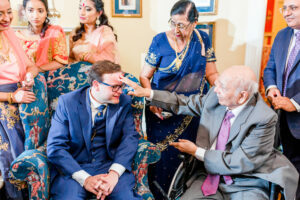 The Indian Engagement Ceremony ends with a particularly lovely tradition in which the mother of the groom adorns the bride by placing a beautiful red chunni over her head and blessing her. 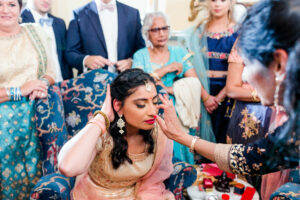 The pictures below beautifully capture this magical Indian engagement ceremony and its rich tradition. 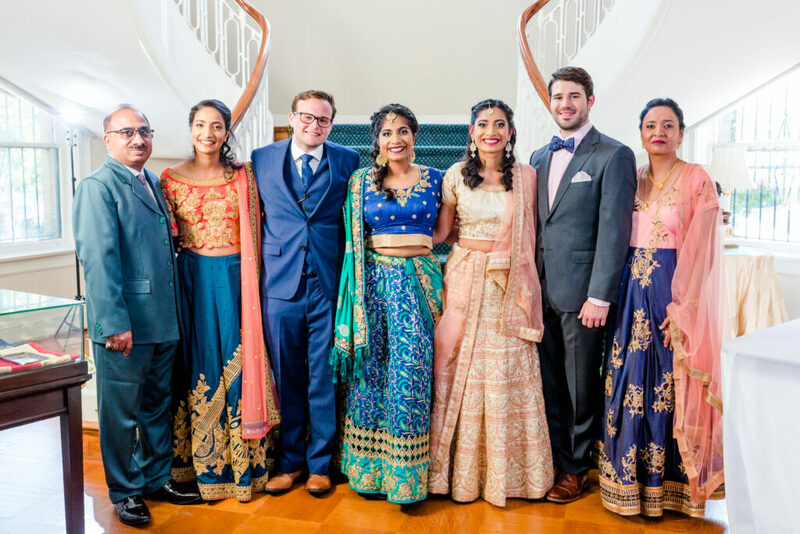 The beautiful couples and their families posed for pictures in front of the Congressional Club’s gorgeous Imperial Staircase. 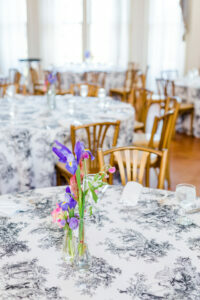 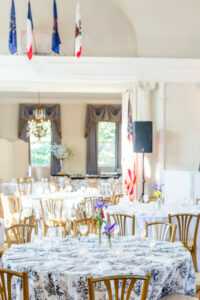 Finally, all 200 guests moved to the Club’s second floor ballroom for a seated dinner catered by Purple Onion Caterer. 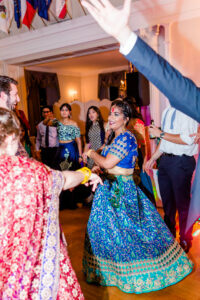 Then it was time for lots and lots of music and dancing. 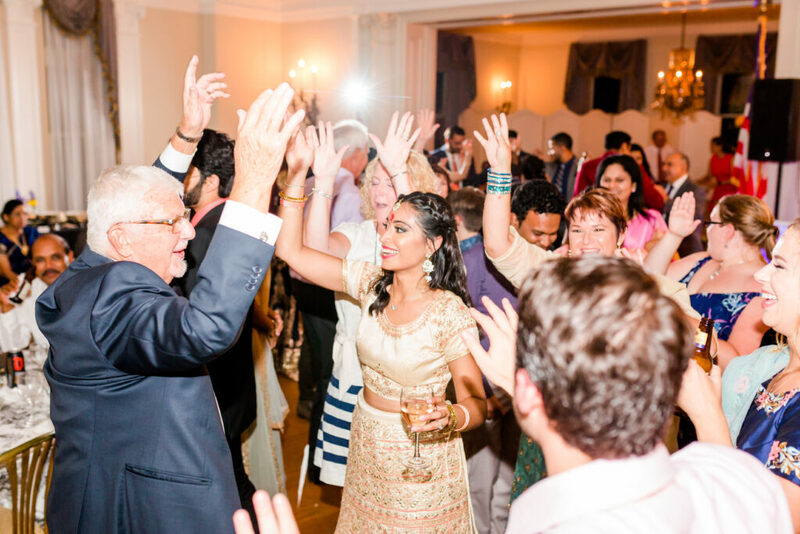 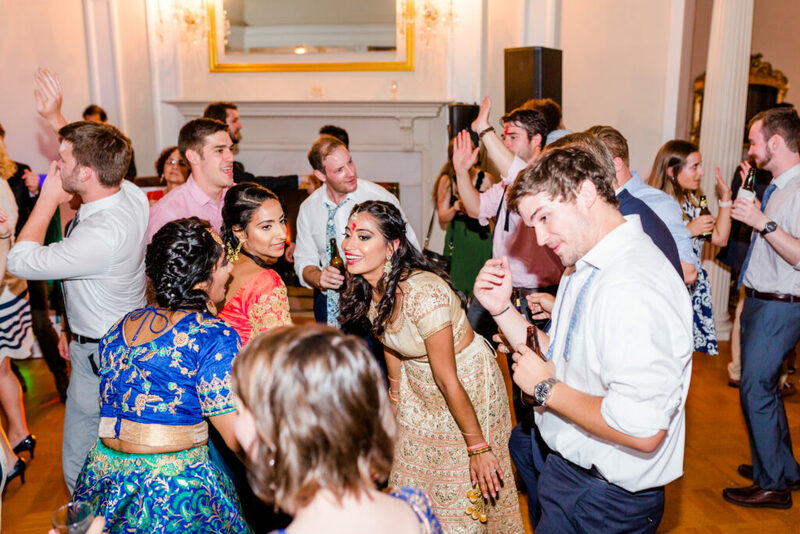 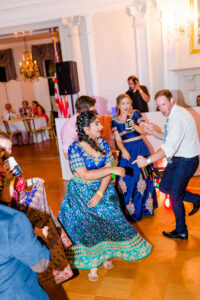 We love how these pictures captured all the happiness and enjoyment of the evening.